Homeland Security agent Katrina Berger speaks at a press conference Wednesday in Irving. Katrina Berger, the lead investigator for the U.S. Department of Homeland Security, referred questions to federal prosecutors about whether anyone with the company would be fined or face criminal charges. A U.S. Attorney's Office spokeswoman declined to comment on the ongoing investigation. The arrest of 284 people at the consumer electronics repair plant in Allen, about 20 miles northeast of Dallas, punctuates the push by the Trump administration to target companies employing people who federal authorities say are not authorized to be in the U.S.
"It's insane to just get people who are working to make a living." Immigration and Customs Enforcement says it was the largest single-site workplace raid in the country in 10 years. Before Wednesday, the largest raid the country in a decade took place in August at a trailer manufacturer about 100 miles northeast of Dallas in Sumner, a small town on the Oklahoma border. ICE frequently touts the raids as major operations to break up criminal enterprises, but rarely releases names of the immigrants arrested, making it difficult to see what comes of their cases. Family members of CVE workers who were arrested say the Allen raid was a heavy-handed tactic against people simply working to provide for their families. Valerie Trevino told The Dallas Morning News that her mother, Graciela Velazquez, moved from Mexico 25 years ago and has worked for the company for years. Trevino said her mom doesn't have a criminal record. "It's insane to just get people who are working to make a living," she said. "They've done nothing wrong besides work. My mom's worked her entire life here. So other than that, I mean, what really is her crime?" The people arrested for working in the United States illegally came from 15 different countries on multiple continents and were employed refurbishing used cellphones, ICE said Thursday. Another 125 people were working there legally, authorities said. "Businesses that knowingly hire illegal aliens create an unfair advantage over their competing businesses." Most of the group were given a date to appear in immigration court and released for "humanitarian reasons," such as being the sole caregiver for a child. There are 110 people being held in federal detention centers in Texas; eight of the people arrested already had a final order to be deported; and nine had re-entered the country after an earlier deportation. The Texas raid was the latest in a series of high-profile busts of businesses around the country as part of an immigration crackdown under President Donald Trump. Critics say the raids break up hard-working families and make it even harder for businesses to find employees in a tight labor market. CVE Technology Group did not immediately respond to a Thursday phone message seeking comment. CVE hasn't responded to several requests for comment since the raid. ICE started receiving tips that CVE was knowingly hiring people not authorized to work in the country more than a year ago, Berger said. HSI, a division of ICE, began an audit in January of CVE records that confirmed hiring irregularities, according to the statement. 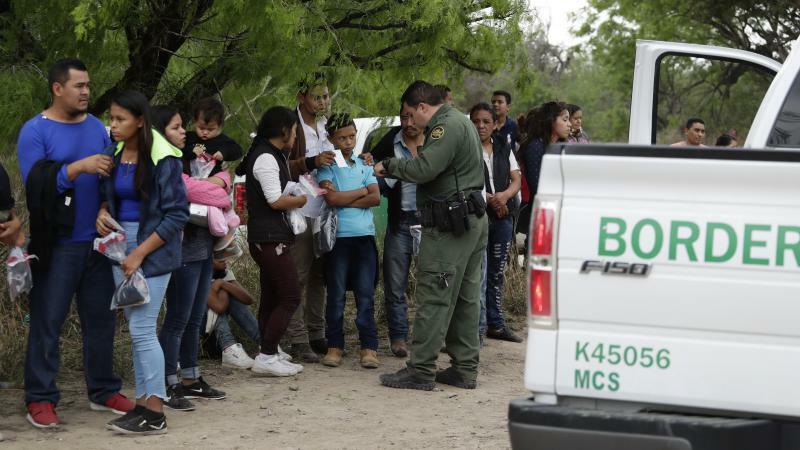 The large enforcement action in North Texas came as immigration officials say they are being strained by the large number of migrants crossing the U.S.-Mexico border.